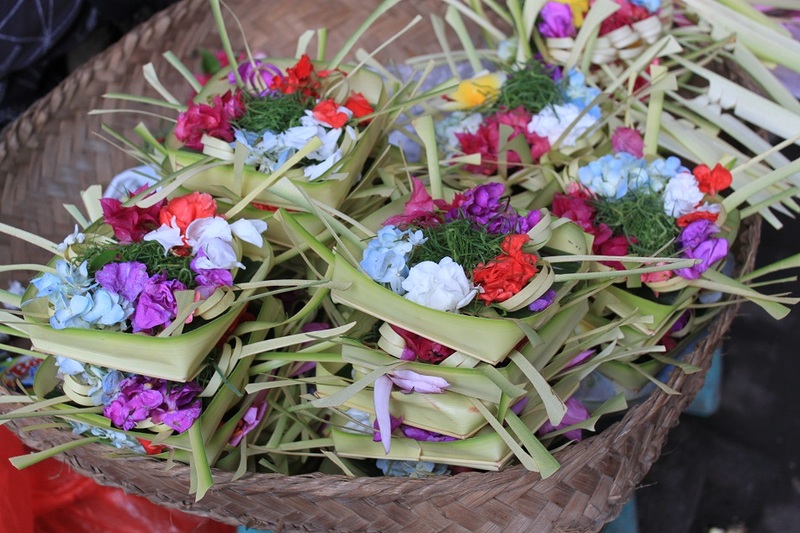 Ubud: A Sensory Indulgence | What an Amazing World! The water vapor escapes the small rice container as the old lady opens up its lid. Before it, plates of side dishes cooked in rich Balinese condiments tease the senses of passersby with their sweet and fragrant aroma. A few meters away some women are preparing small pieces of offerings made of various flower petals with different colors, sliced pandan leaves, and a pinch of sticky rice. 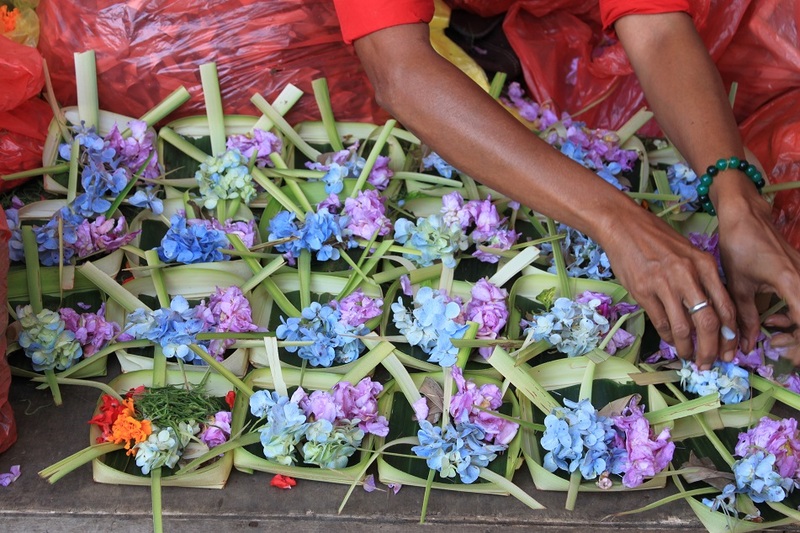 They are making canang sari, the ubiquitous Balinese offering normally placed in front of houses, at temple altars, on cars’ dashboards, and many other places. This is Ubud Market at the heart of the so-called cultural center of Bali, filled with morning activities of vendors and locals, boisterous and colorful. 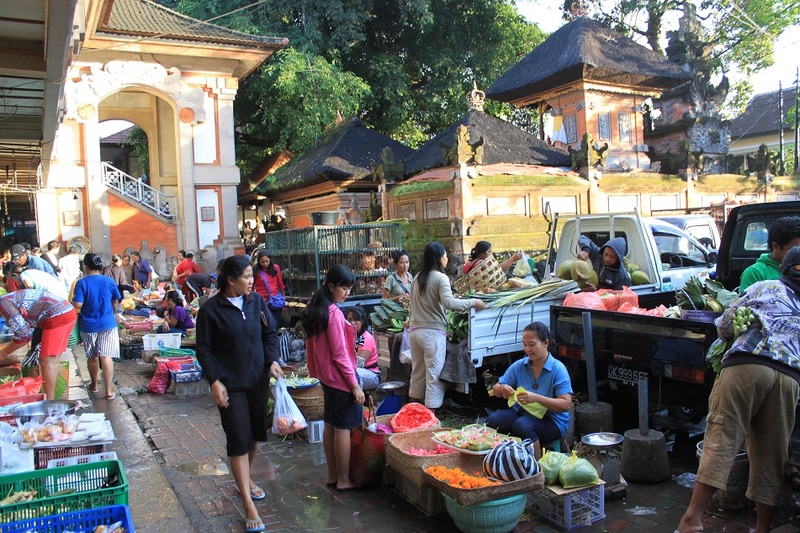 Compared to similar places in Indonesia, Ubud Market is arguably one of the most unique traditional markets in the country due to its wide array of goods, commodities, and artworks sold to not only fulfill the daily needs of Balinese people – particularly the Hindus – but also to satisfy visitors with different necessities. 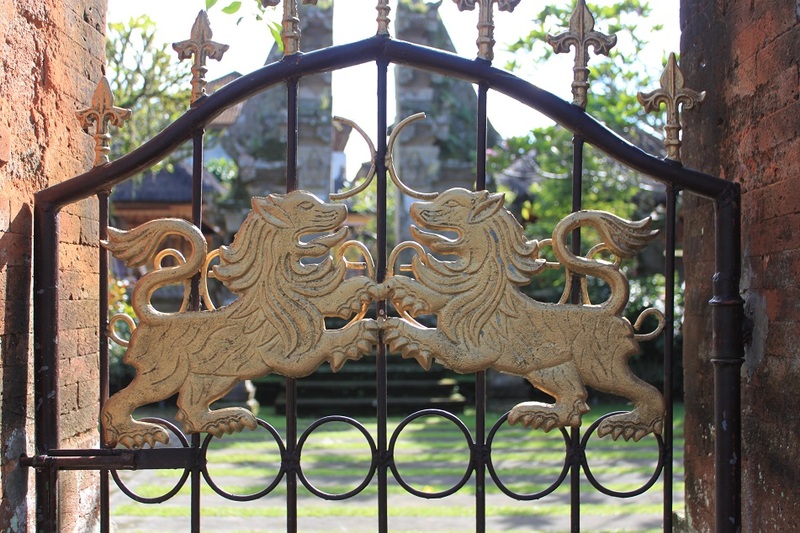 Tracing back its history in the 19th century when Ubud was the seat of a powerful kingdom in Bali, no one would have imagined this place transforming itself into the cultural hub of the island within the next few decades. It was Walter Spies, a German painter, who introduced Balinese culture and art to the Western World in the early 20th century. Living in Ubud for nine years at the invitation of the Prince of Ubud, he helped the locals modernize the artworks to cater to a broader audience. 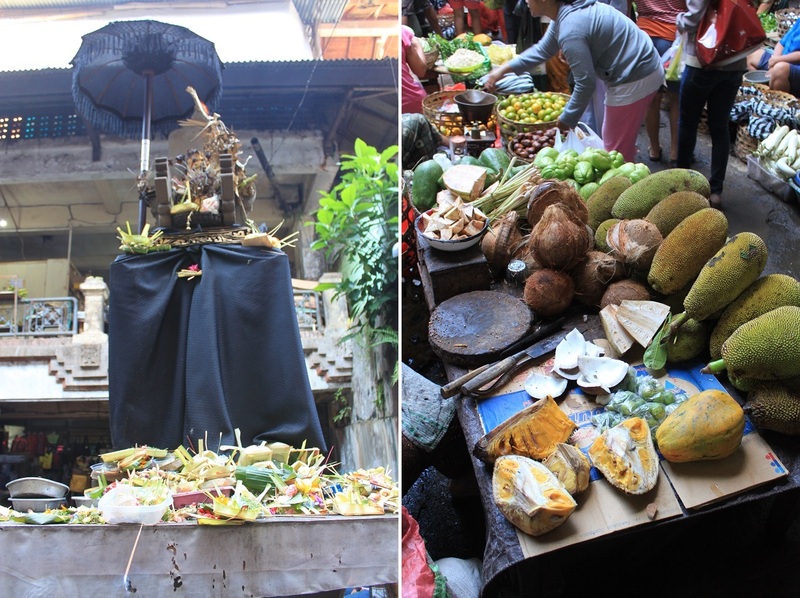 Today, Ubud Market is one of the places to find the traces of his legacy where artwork vendors replace those selling commodities after morning time. 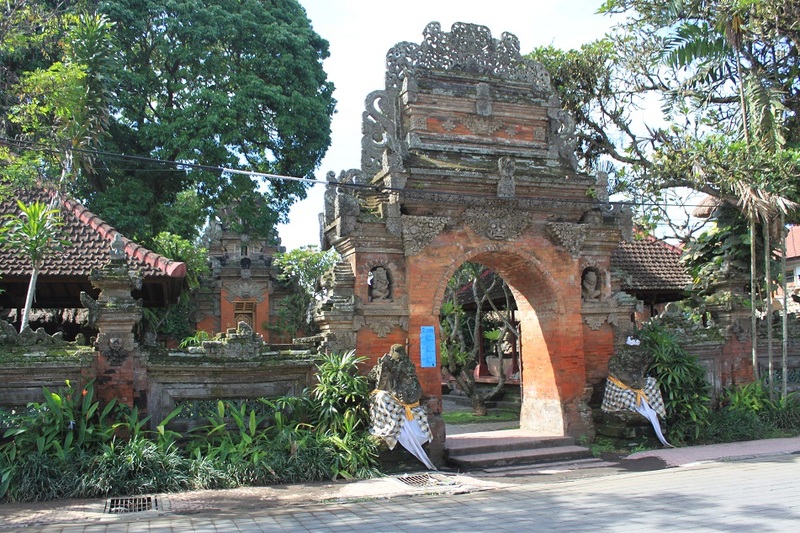 Ubud Palace itself, officially called Puri Agung Ubud Krisnakusuma (the Great Palace of Ubud Krisnakusuma), is located a stone’s throw away from the market. Its elegant entrance leads to an even more beautiful courtyard, conspicuous among the nearby restaurants and shops. Despite no longer possessing the power it once had over the region, the royal family still lives in the palace, in a secluded area off-limit to tourists. Having taken some pictures of the vendors at the outside of the market, we walk inside, through some dark alleys and slippery floors. Suddenly the humid labyrinth opens up to a courtyard where more vendors share the cramped place under the clear blue skies. “Beep beep!” a garbage collector shouts to ask everyone to give her and her cart a way out of the crowd. A typical Balinese spirit house stands right at the center of the courtyard, studded with a handful of canang sari and burning incense sticks. “That woman has been selling fruits and vegetables at the exact same spot with the exact same basket arrangement since I was a kid” Alexander recalls his memory upon noticing one of the vendors. “She has the same facial expression,” he adds. 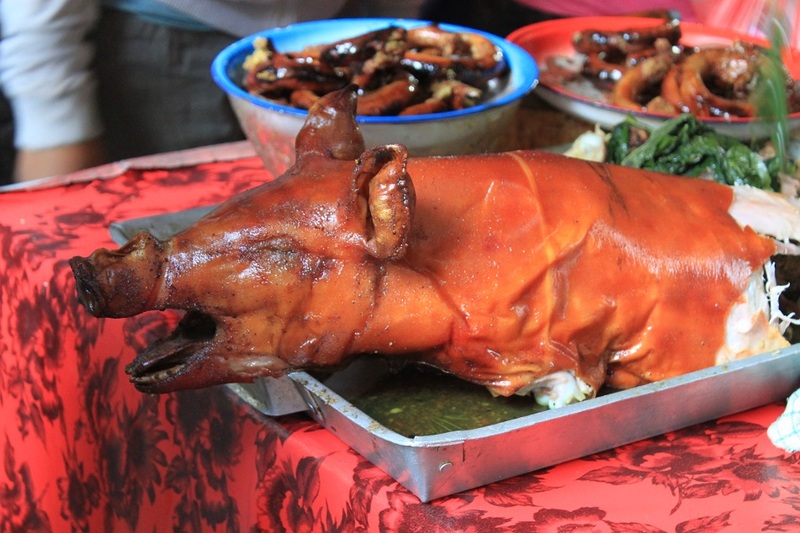 At one corner, a food stall displays a roast pig complete with the head. Some might find it horrible, some others amusing. But clearly that is a not a common sight in other traditional markets across Indonesia. Craving for ayam betutu instead, we go back outside to find the vendor who serves the best ayam betutu in town, Alexander assures me. Some parts of the market have changed since my last visit in 2011. Modern blocks of shops have been built to accommodate more vendors, unfortunately forcing some others to leave the market. Alexander looks puzzled. “I am sure his stall was right here back then.” Then he asks some people around where the ayam betutu vendor has moved. “He’s moved to his house, not far from here,” a parking attendant replies. “His house is at that alley, to the right of the main street,” an old woman adds. It seems like everyone knows this man. But it is this kind of bond and friendship a place like a traditional market is filled with. We walk towards the alley, with so many questions hovering in my head. Will this place change when it is fully modernized one day? Will more vendors move out from the market to sell their goods or food at their houses? Will it be harder to feel the real Balinese experience in the future? Been to Bali twice but never got the chance to visit Ubud. I missed a lot!!! Wow, I didn’t know you stayed for that long in Legian. There are a lot of good accommodations in Ubud even though I have never stayed in the area. I’ve heard of a tea made from the essence of a hibiscus. So, making some rose essence sounds interesting. Love every single moment we had there, like a festival for our five senses. And the way you wrote this journal, especially the first paragraph is so beautiful. Thanks for insisting to go to Ubud Market in the wee hours, especially after that night in Warung Made when Irma and I pushed ourselves to the limit. 🙂 I’m surely ready for Jogja. 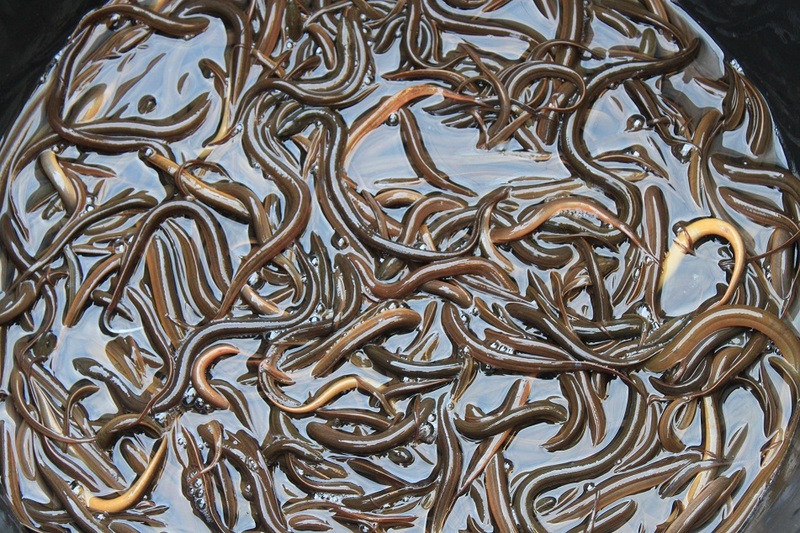 Oh you definitely have to – there is a cornucopia of interesting things in the market. It is undoubtedly one of the most interesting traditional markets that I’ve been to. Thanks for dropping by, Angga! Gorgeous – i want to go! Thanks Alex! Starting this year, there will be direct flights from London to Jakarta, then you can connect to Bali. 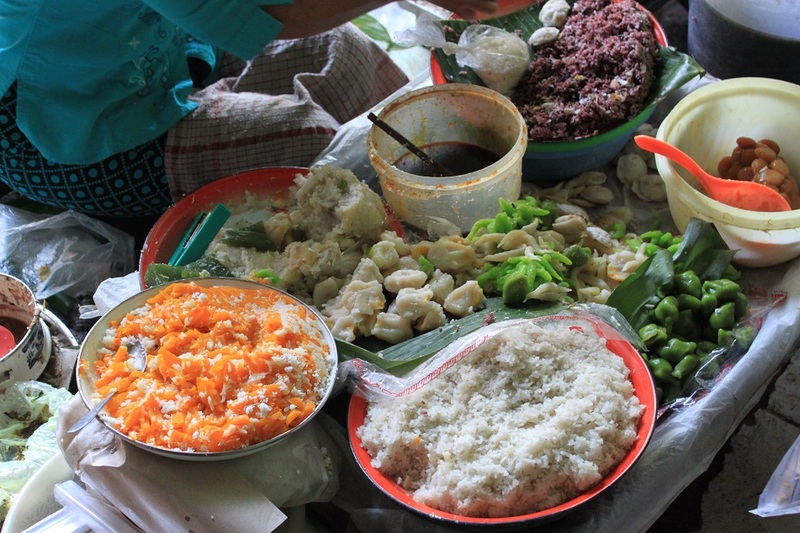 We actually did, but I’ll keep the photos for a special post on the dishes of Bali. 🙂 The one that I tried was Pak Sanur’s ayam betutu. A great glimpse into the market. Did you find the vendor you went looking for? Your posts about the food are so great. The view of the market from above shows so well the astounding variety of shapes, sizes, and colors of both the produce and the containers. If only we could smell them! 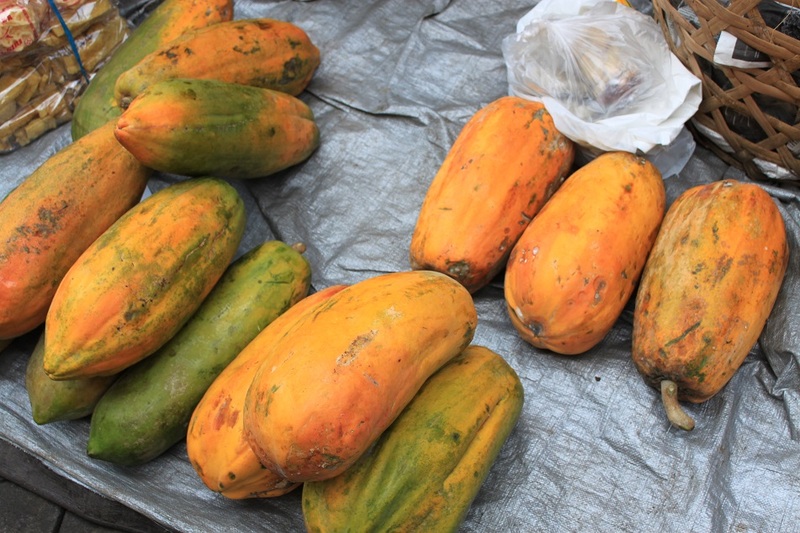 The beautiful Canang Sari are certainly worthy of any offering. 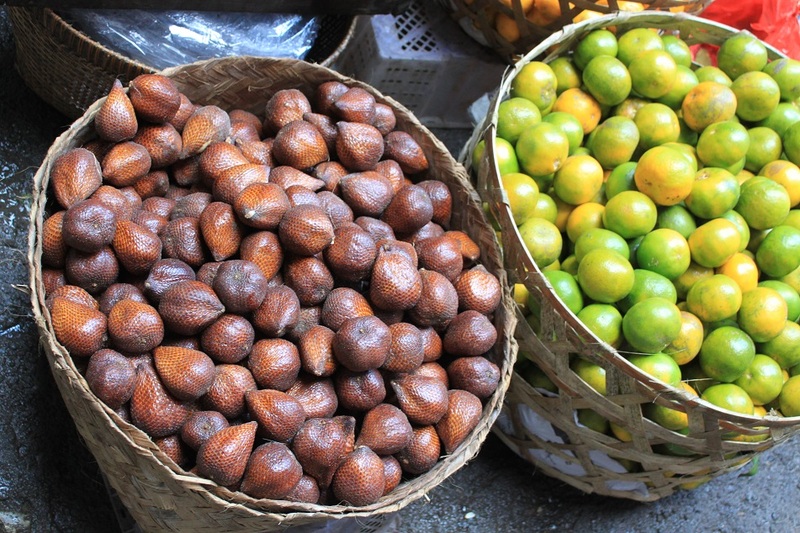 The markets are of course similar to those in Mexico, and I see some of the same tropical fruits. Thanks Marilyn! 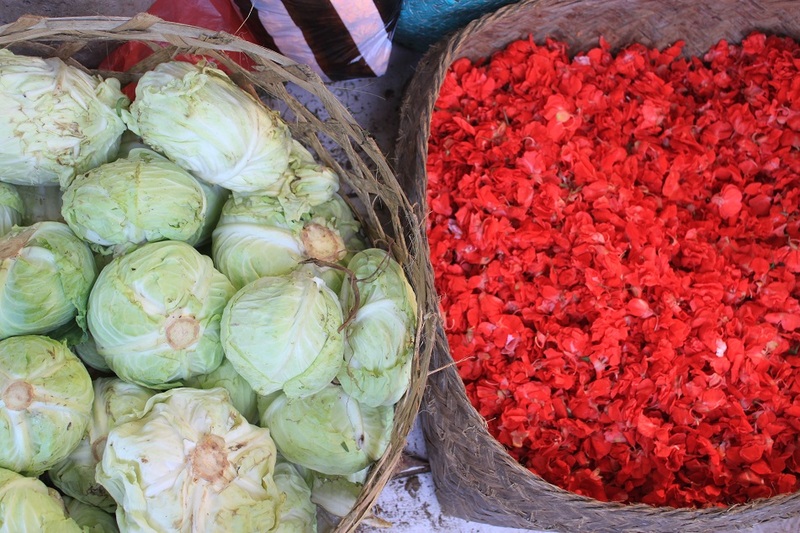 Ubud Market was such a colorful place. It was hard to rest my camera because there were so many interesting and unique things to take pictures of. Now I wonder how the Mexican markets are like. Will definitely check them out when I travel to the country one day! What a visual feast! Beautiful pictures! Thanks! I have been considering to visit Korea for some time now. Hopefully I’ll go there soon. Oh my goodness, Ubud is a such a rich sensory indulgence indeed. You photos said it all. I heard so many great things about Ubud and I look forward to immersing my senses in it one day. OMG ! These pictures are sensational ! 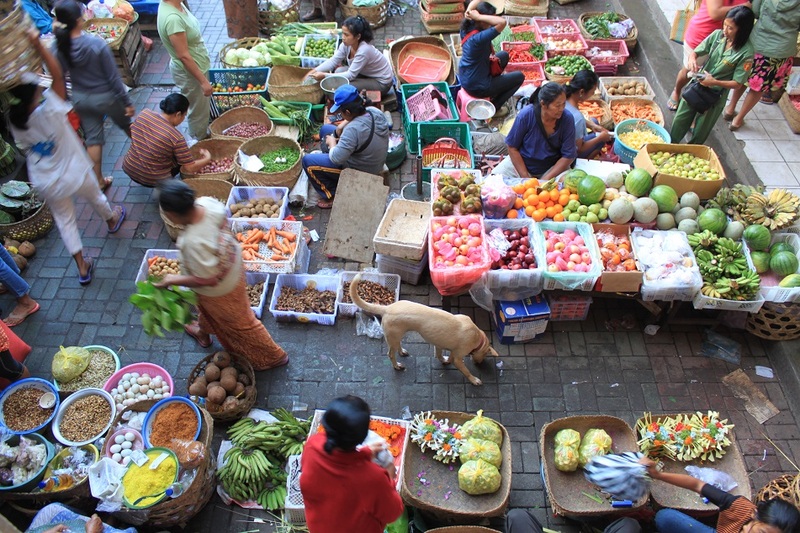 Your post conveys the bustling, colourful vibe of the market Bama! A true feast for the senses! And your photos are fabulous as always. Particularly love the shot of the vendors outside the temple. This place reminds me of our town’s market back in the Philippines. 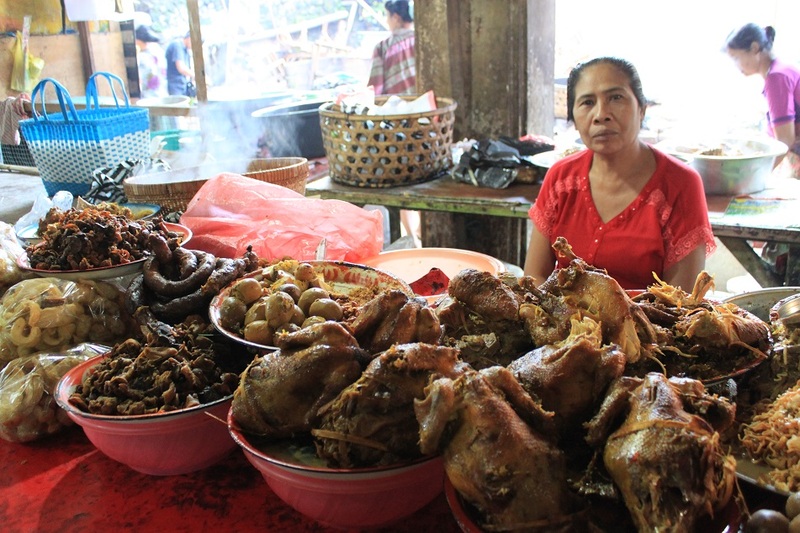 I think that ayam betutu is similar to our famous kakanin–one of my favorites. Great account of the trip, Bama, as always. By the way, been trying to find your Freshly Press entry and sorry to say this: I am having a hard time. Could you give me the title, please? What beautiful pictures! I feel like I can smell the spices and colors! Thank you Cathy! 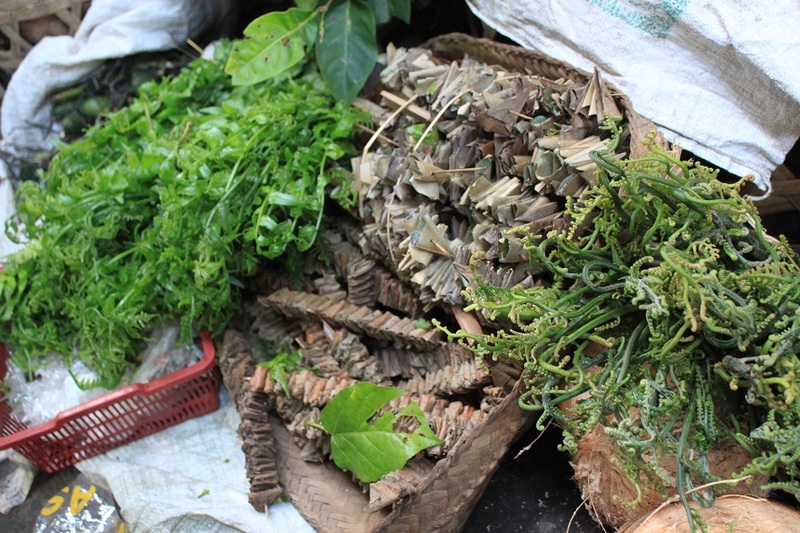 Ubud Market was really a very nice place to explore. But make sure to come there early in the morning. Yes but they are really really expensive for students.. Thanks anyways for posting all these! Never say never. 🙂 You’re welcome! Thanks Susann! If you’re really into yoga, there’s a yoga haven in the middle of the rice fields in Ubud called Fivelements where the latest TEDx Ubud was held. It was such a cool and peaceful place. Bama, thanks for the tip. I will be staying just outside of Ubud for several days coming up on two months from now. I’m pretty excited despite the fact I’ve heard lots of negative things about the touristy nature of Ubud and the rest of Bali. Visiting markets is always near the top of my list while traveling and this market looks quite nice–not too touristy either, from the looks of your photographs. Thanks for posting! 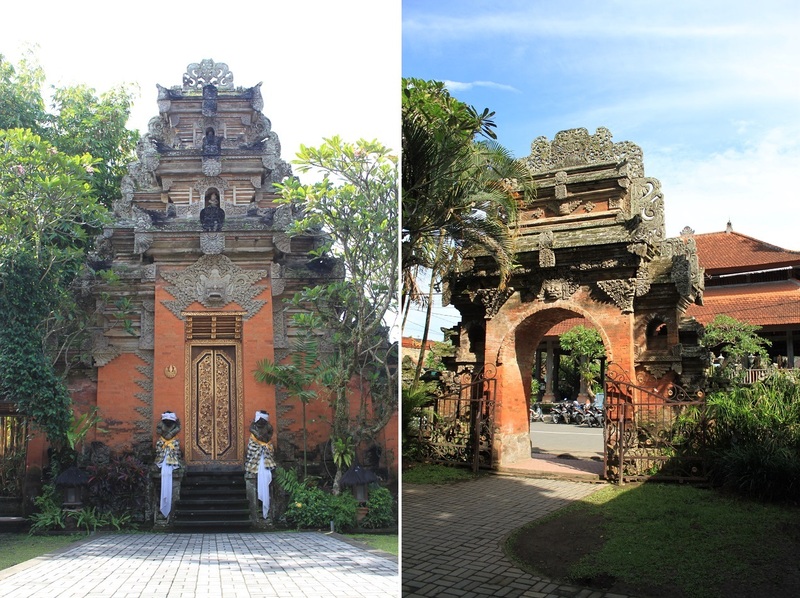 The thing about places is Bali is, most of them managed to retain its cultural charm despite the mass tourism. Since last year, I found traditional market as one of the most interesting places a city can offer. Thanks for dropping by! Gosh, I love the colours on markets like these. 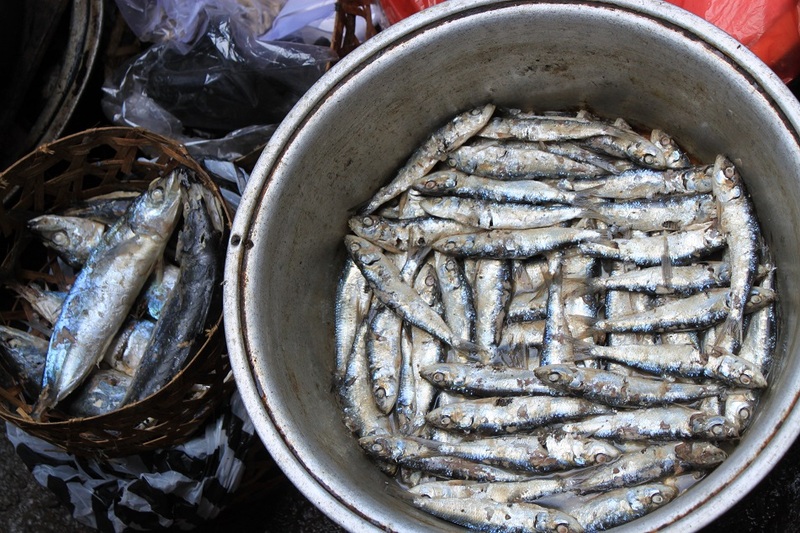 Doesn’t really matter where you are in the world, when you visit a market of this kind, you’re in for a visual celebration. Thanks for sharing these. My pleasure Thosrten! A few years ago I never took traditional markets seriously, but today I know that it’s one of the most interesting places in a city/town. I totally agree. It really shows the culture. This is such a wonderful and inspiring blog that gives you an international overview on different cultures. You really cannot go wrong with this. Thanks a lot for the reblog and your kind words! So beautiful! And so rich in culture! Reminds me of the markets in Georgetown, Guyana! Visiting traditional markets is always an interesting thing to do. I constantly get something new in each visit. Awesome pictures,Love the way you described,Wonderful write up. Thanks again Praveena! I really appreciate your encouraging comments! so beautiful.. love Bali so much… thanks for sharing..
You’re welcome Si Tembem dan Miss Rempong! 🙂 Thanks for dropping by! LOL.. thanks for visited my blog..
Bama, love the bird’s eye views of Ubud’s market! 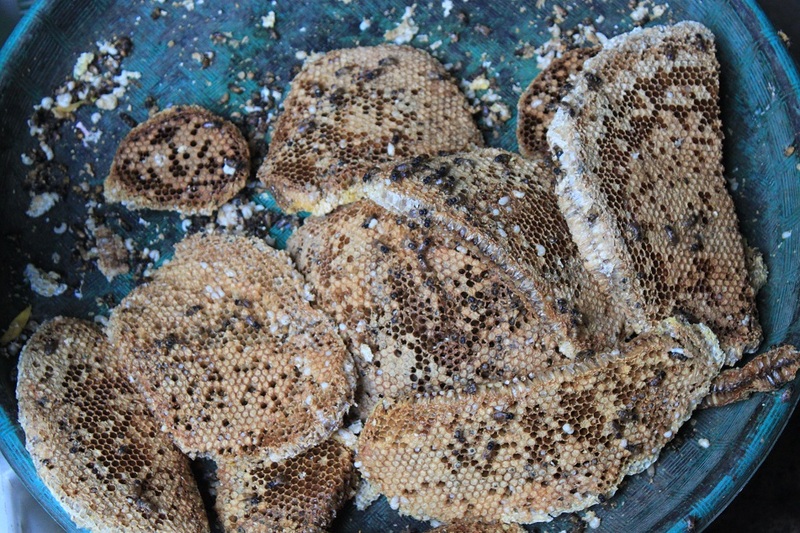 We tried snake’s skin fruit there for the first time and came to enjoy its unique flavor. Wish we could easily get it in Europe! Thanks Tricia! 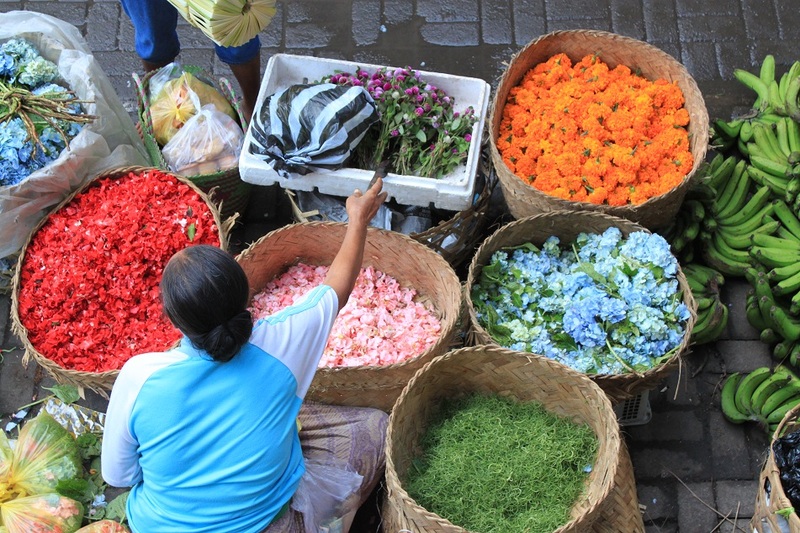 Ubud Market was such a fascinating place filled with so many colors and scents. So I had to go up to capture them in one frame. 🙂 Speaking of the fruit, I have to admit that I’m not a big fan of it. So it’s nice to know that you enjoyed it better than I did.